You know by now that you can’t add promotional text to your product titles or descriptions, but you can run promotions. There are two main types of promotions - Promotional Text and Promotional Feeds aka Special Offers. Promotional Text appears when you hover over a Product listing image. 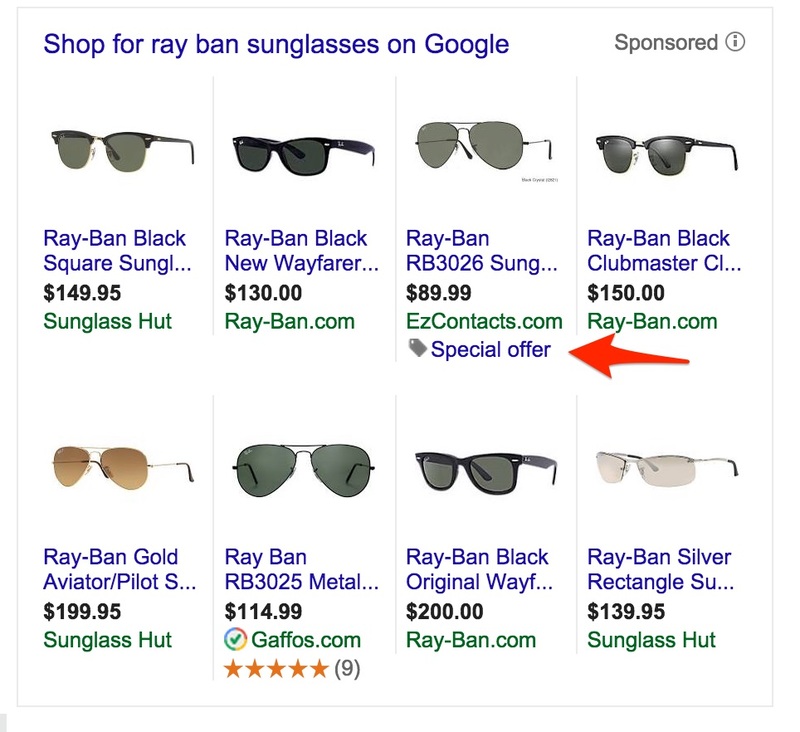 When you hover over a product listing image you’ll see the product title, the price, and the domain name of the advertiser selling the product. Below the domain name you’ll see promotional text if the advertiser has added it. 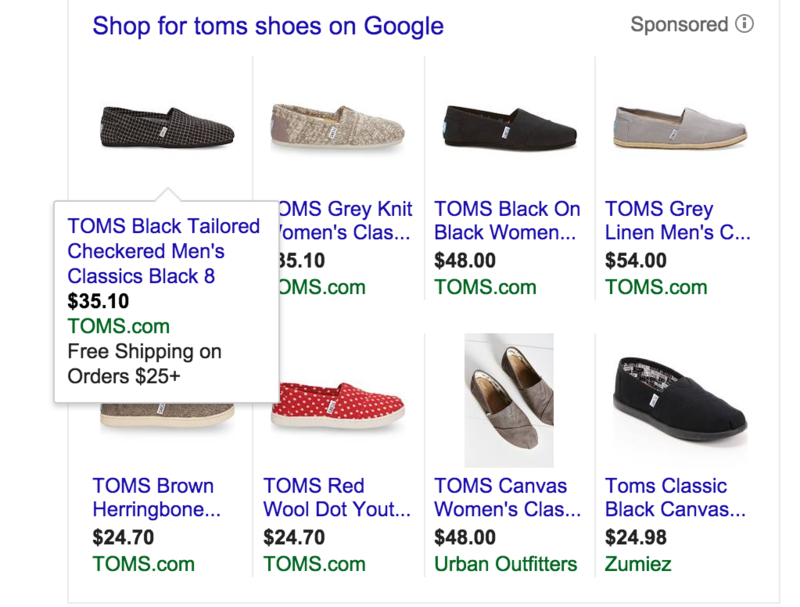 In the example below, the promotional text for the Tom’s shoes ad is “Free Shipping on Orders $25+.” This promotional text is very easy to add, but when you add it, it will apply to all products in a given ad group. 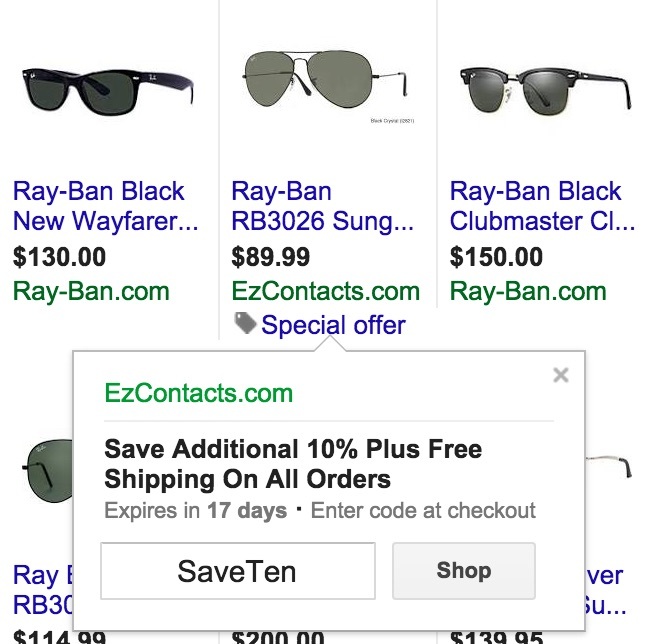 To add promotional text click on your shopping campaign and then click on the Ad Group that you want to add promotional text to. Click on the Ads tab, and then click on the name of the ad to create the promotional text. The name of the ad will always be Product listing ad. Then you can add your promotion. You have 45 characters to write something that will help entice the click. Often a Free Shipping offer can work well here. Add your offer and click Save. This type of promotion shows up under your Product listing ad as a “Special Offer” with a little price tag icon. When you click the icon a description of the special offer drops down with a coupon code to enter at checkout. See below. To set this up, you’ll need to create a promotional feed. 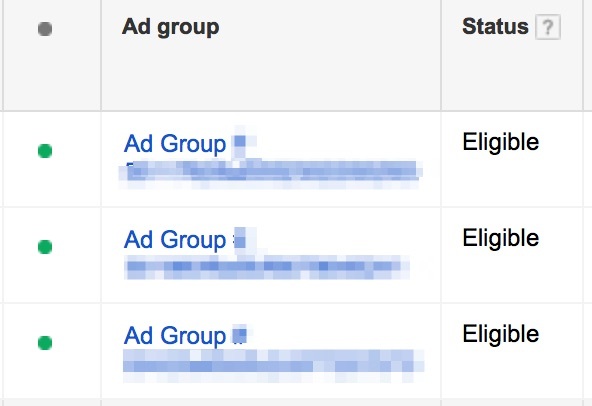 In order to do that you must first contact an AdWords representative and ask to be whitelisted for promotions. Or you can fill out the merchant promotions interest form. 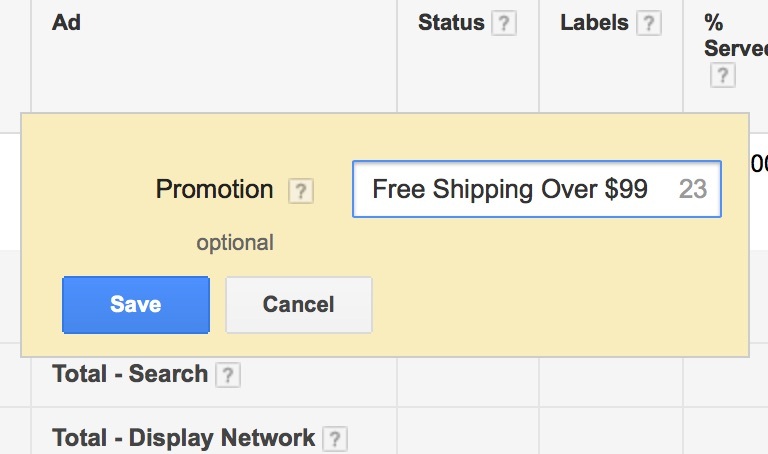 After that you can either use the +Promotions tool in Google Merchant Center to create your promotions. The +Promotions tool is usually the easiest if you have just a few promotions. Or, if you have a lot of promotions, you can upload a promotions feed. To do that click on the +Data Feed button in the feeds area, and chose Promotions in the Type drop down. These special offers can attract attention and clicks and also help with conversions. For more information on setting up promotional feeds reference this merchant center guide. Product ratings can make a substantial difference in the overall performance of your Shopping campaigns. A recent study from BrightLocal showed that 79% of consumers trust product reviews as much as personal recommendations. That’s pretty powerful. Recently Google Think released a stat that searches including the word “best” have grown 80% in the last two years. 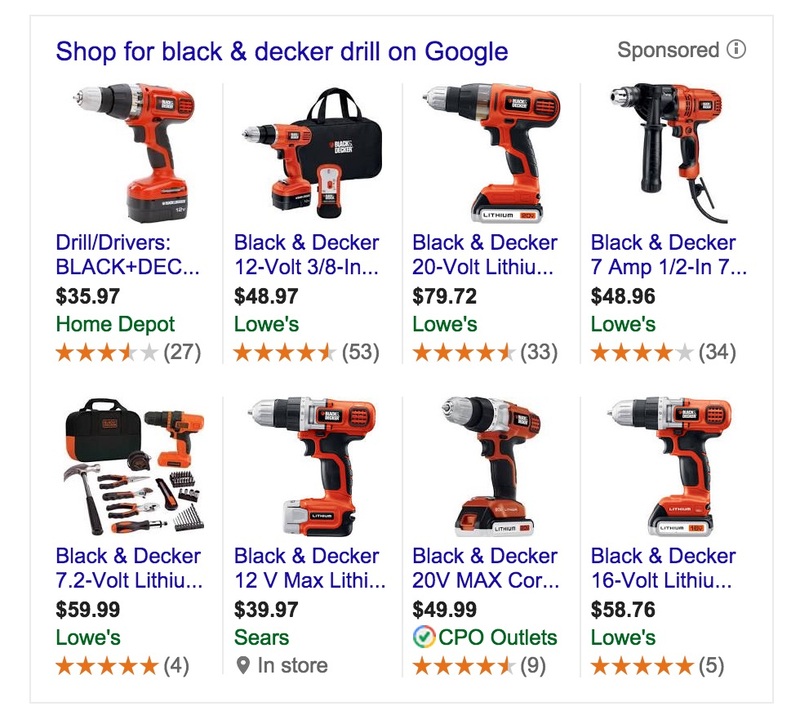 When you add the word “best” to your search query Google will show Shopping results with the best product reviews. 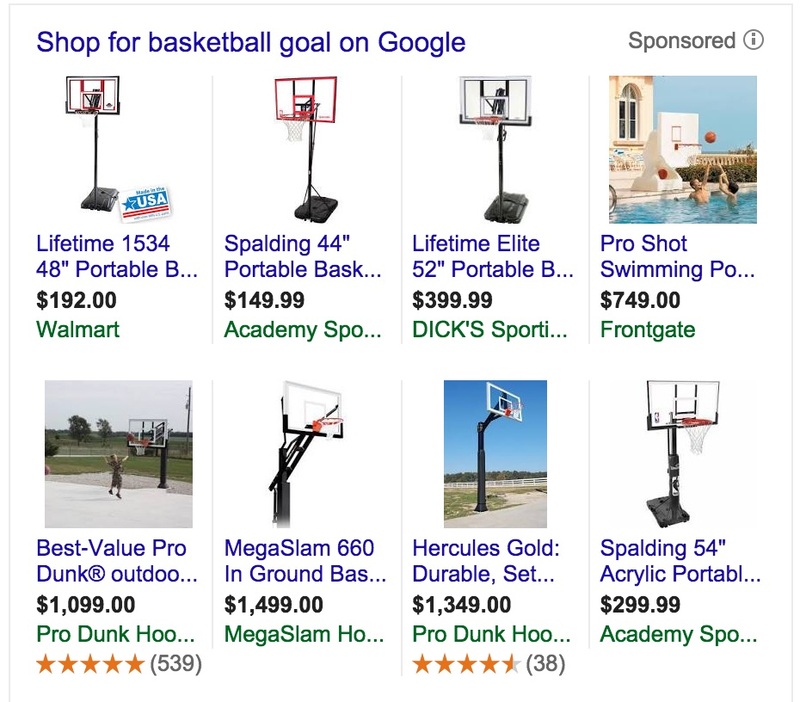 In many product searches, like the basketball goal search below, only one or two merchants have product ratings visible. This can give them a decided advantage for attracting clicks. In other cases, most or all of the merchants have product ratings visible. This would make it really hard for a product without reviews to compete for clicks. To get set-up showing product reviews you’ll need to get approval from Google. Start by completing and submitting the product ratings interest form. 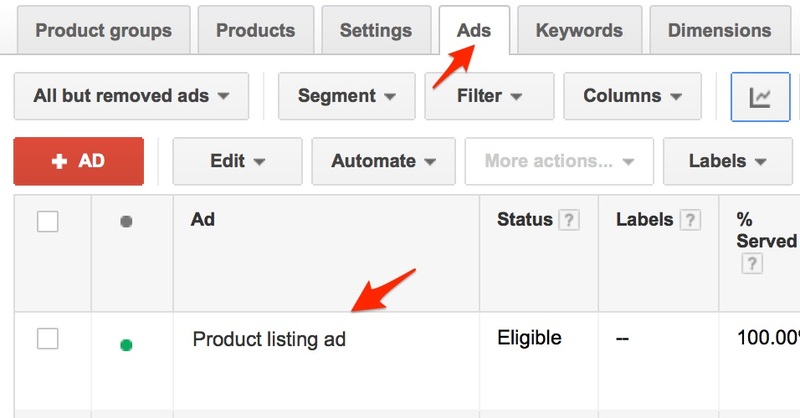 After you submit that form, Google will contact you within 10-15 days with next steps for getting product reviews to appear with your shopping ads. If you use a 3rd party tool for collecting reviews, Google integrates with several of them including: Bazaarvoice, Ekomi, PowerReviews, Shopper Approved, Yotpo and several others. See the full list and instructions for getting started here.